Do you remember making Mud Pies as a child? How about the hours and hours of simple open-ended play outdoors where you lost track of time? 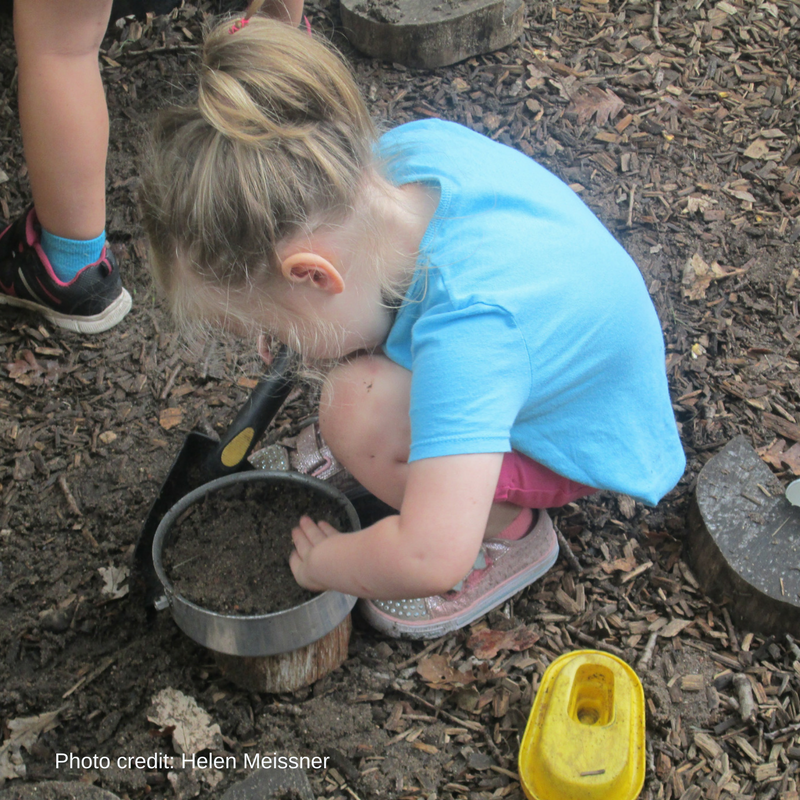 Mud is a fabulous medium for exploration and discovery for children. The Mud Kitchen invites children to become scientists, cooks, entrepreneurs, and artists. 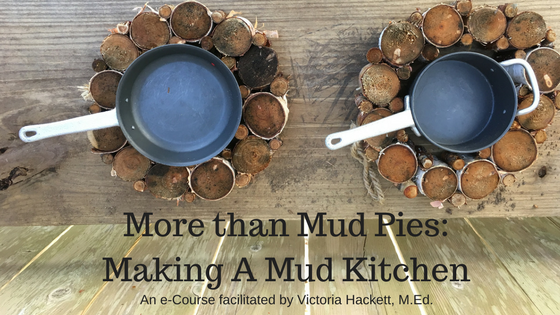 Have you ever thought what would happen if every outdoor classroom included a Mud Kitchen and all parents, families, teachers, and communities embraced and valued Mud as a teaching tool? Children just might navigate their world feeling the freedom to get dirty and explore without hesitation! Have you ever thought of creating an outdoor learning station that will encapsulate your children’s imaginations? Join us in this Mud Kitchen Master Class as we explore how to make a one-of-a-kind Mud Kitchen. More than Mud Pies: Making a Mud Kitchen is an acclaimed Master Class for Natural Teachers who want to create a one-of-a-kind Mud Kitchen. Simple as that. It’s about letting go of the traditional way of teaching, finding freedom with Mud Play and building an outdoor classroom learning station that will engage children’s creativity and thinking. More than Mud Pies: Making a Mud Kitchen is about re-connecting children with nature, opening the door to possibilities, and showcasing how children can learn math, science, and art in an outdoor play kitchen. 4 Modules delivered to your inbox: May 6,13, 20, 27 with videos, handouts, and ideas galore! 2 Virtual Gatherings via Zoom Call: May 8 & 29 for support, community, and a live class! Private Facebook Page to post your celebrations and accomplishments! 15-Hour Participation Certificate to honor your time and commitment! A new community of like-minded educators from all over the world! If you have any questions about The Exploring More than Mud Pies: Making a Mud Kitchen Master Class, please do not hesitate to email me at victoria@outdoor-classrooms.com.